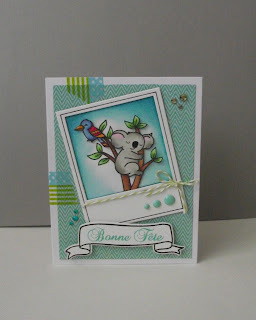 My Scrapbook Store (Scrapbook Centrale, DDO, Québec) received the new Lawn Fawn Dies last week. I was impatiently waiting for those! Here is one for my cousin's daughters birthday. How adorable!! I love every sweet little detail of this card and really want some of those bannerific dies as well. That little bear is so adorable! Love the card and colors. Since I'm an "Aussie" I have to say I love this card!!! It is wonderful. I love how you coloured it & put it together. What a fun & fantastic card. Thank you for playing along with us at Die Cut Divas.